Has A Time Vortex Been Found? A disturbing story in an issue of Pravda a few years ago suggested that the U. S. Government was working on the discovery of a mysterious point over the South Pole that may be a passageway backward in time. According to the article, some American and British scientists working in Antarctica on January 27, 1995, noticed a spinning gray fog in the sky over the pole. U. S. physicist Mariann McLein said at first they believed it to be some kind of sand or snowstorm. But after a while they noticed that the fog did not change its form and did not move so they decided to investigate. They sent up a weather balloon, at the end of a rope, with some equipment attached. To their surprise the balloon immediately disappeared after entering the fog, although the rope hung there, as if still attached. After a few minutes the team pulled on the rope and the balloon reappeared. When they brought it back to the ground they were surprised to find that a chronometer on the balloon displayed the date as January 27, 1965, exactly 30 years earlier. The team repeated the experiment several times, and each time the chronometer's date changed to the earlier time. The phenomenon was reported to the White House under the name "Time Gate." According to the story the CIA and FBI were fighting to gain control over this project, which seems to be a link to a tunnel that permits penetration into the past. Experiments have advanced to the point of actually sending people through the rift. Their safe return is an unknown. Of course the Russians are watching all of this with great interest. The story talked about various Russian experiments with time machines and theories about the possibility of slowing or speeding up time. Russian author Gennady Belimov published an article in which he described experiments led by Vadim Chernobrov, the inventor of a time machine in 1987. Chernobrov claims his machine can slow or speed up the course of time by tinkering with the Earth's magnetic field. His biggest success was the slowing of time for 1.5 seconds. While all of this sounds a bit like one of Grimm's Fairy Tales, I have to give the report some level of credibility. I know that time does not seem to exist in the spiritual or astral realm outside of our three-dimensional existence on this planet. 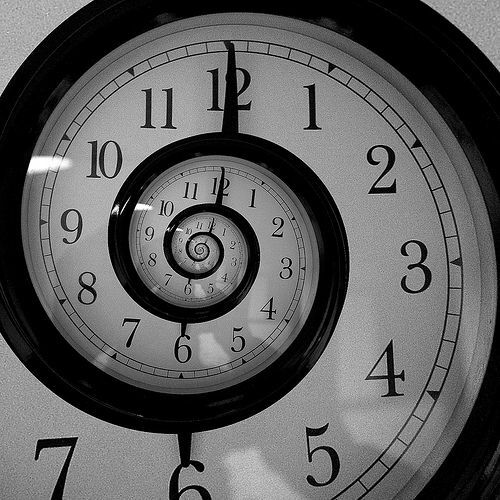 Time appears to be an invention of third dimensional reality to allow humans to keep their bearings as we proceed through the brief life spans allowed in these bodies. when it will occur is extremely difficult. As an old science fiction buff, I have had years to think and read about the consequences of human travel through time. Traveling forward in time would be strange enough. And we might be able to do something like that without upsetting the balance of things. But if we could go backwards, even under the strictest of conditions, it is possible that by a single act, we could alter the entire course of history. Simply carrying an evolved bacteria or a genetically modified virus on our shirt sleeve into the distant past might launch a world-wide epidemic that would kill millions of people, some of whom would be the thinkers, inventors and composers of some of the great human offerings of that period. That the CIA and/or FBI may be tinkering with time travel is most distressing. The covert operations they perform could take on a whole new meaning if they are ever given the opportunity to travel into the past and make a few adjustments in world events. What is troubling is that we have no way of knowing that they aren't already doing this. For those of us in the daily stream of world events, a shift in history might wipe out thousands of people and change entire governments. But for us, the change would go into our memory of events as they happened during our lives. That good friend we went bowling with last night might disappear before the next morning and we would not notice his loss. By the time we awake, the person never existed. In the past I have thought how time travel, if available to a few of us, would be a most useful tool for saving the looming fate of our dying world. But then what would any of us do, short of going to war with the demonic realm, to make a significant difference? Putting this tool in the hands of a Christian driven team of government agents can only mean worse trouble than we have already have. Come to think of it, that kind of time tinkering might explain how things have become as strangely out-of-whack as they currently are. We will be exploring this issue further.